Not more than 100,000 gold five dollar coins. No longer available. Sale period ended May 15, 1998. 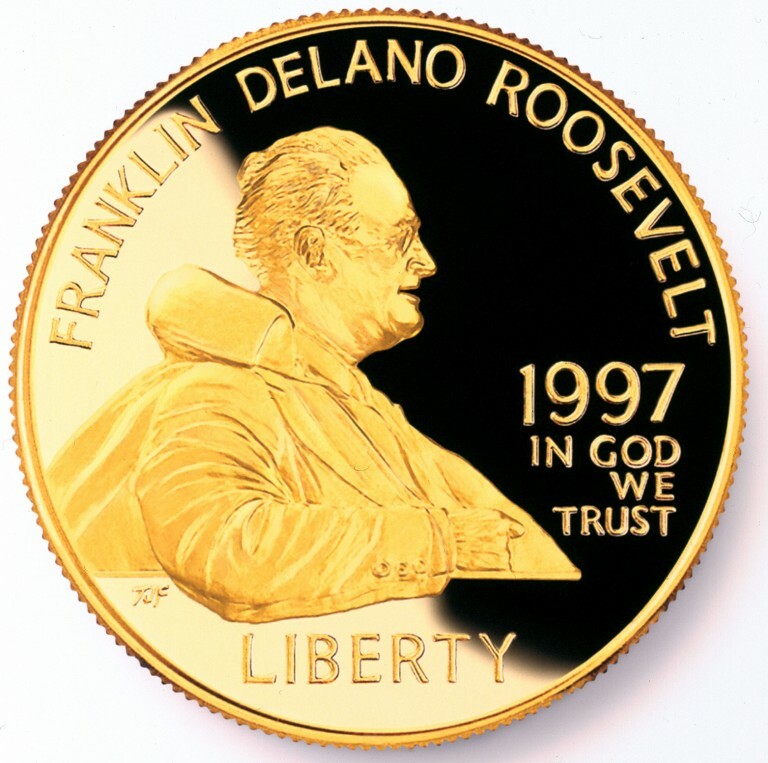 A portion of the proceeds from the sales of each coin was paid to the Franklin Delano Roosevelt Memorial Commission. Commemorative coin programs are created by acts of Congress to honor a person, place, or event. Surcharges from the sales of these coins help fund a variety of organizations and projects that benefit the public. 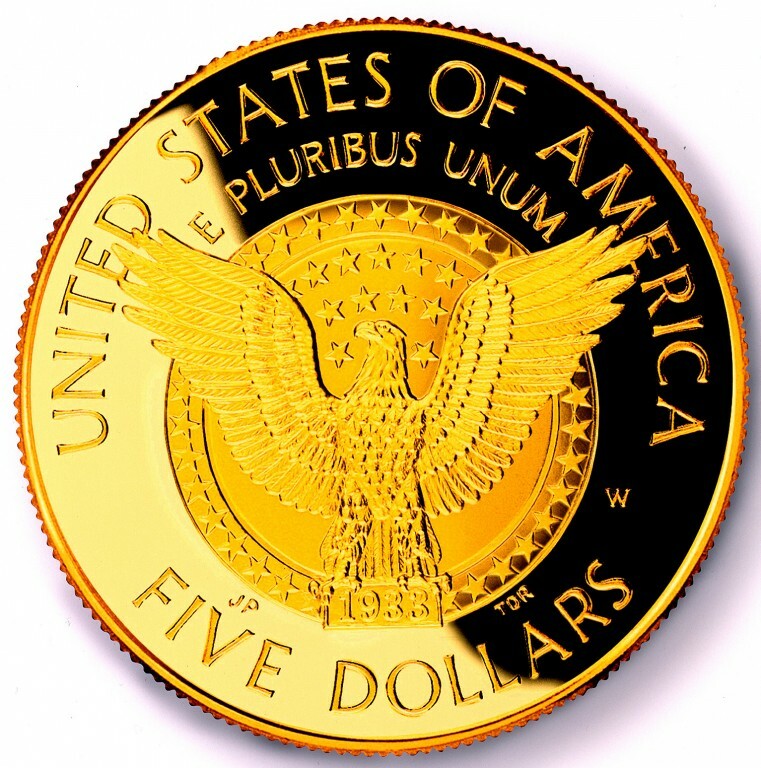 Commemorative coins are only available from the United States Mint for a limited time, as specified by public law. Obverse design: Based on one of FDR's favorite photographs taken in 1938, depicts the commander-in-chief on the bridge of the U.S.Houston wearing a boat cloak that became a familiar trademark for many Americans. Reverse design: A rendering of the Presidential seal displayed at FDR's 1933 inaugural.